The Janesce Re-Energising Range enlivens mature skin through highly active botanical stimulation. We are so excited to announce the launch of the Janesce Re-Energising Range for women aged 45+. The Janesce Solutions Re-Energising Range contains, on average, double the level of plant extracts found within the rest of the Janesce Professionals range. At the heart of the range is the existing Janesce Re-Energising Complex, which Jan Smith (founder of Janesce Skincare) created to enliven and energise my skin when I turned 50. 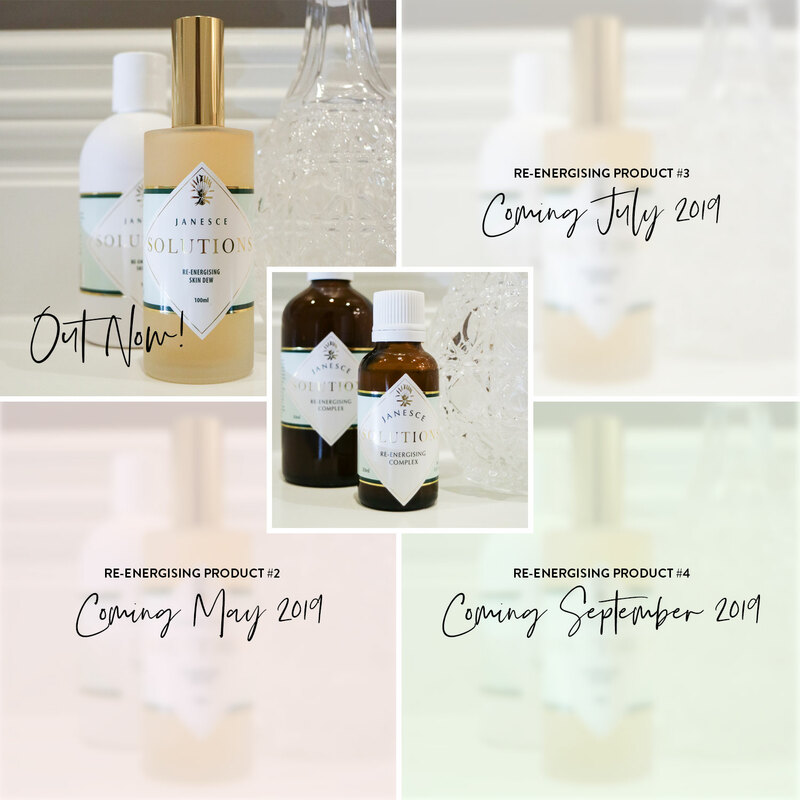 Jan Smith has now designed four new products to create the extremely potent Re-Energising Range. This powerful range series enlivens mature skin through highly active botanical stimulation. Think of it as Janesce, on steroids! We will release one new product each season throughout 2019, beginning with the Janesce Re-Energising Skin Dew, which is out now. From my perspective, the Re-Energising Range is the pinnacle of Jan’s creations so far. 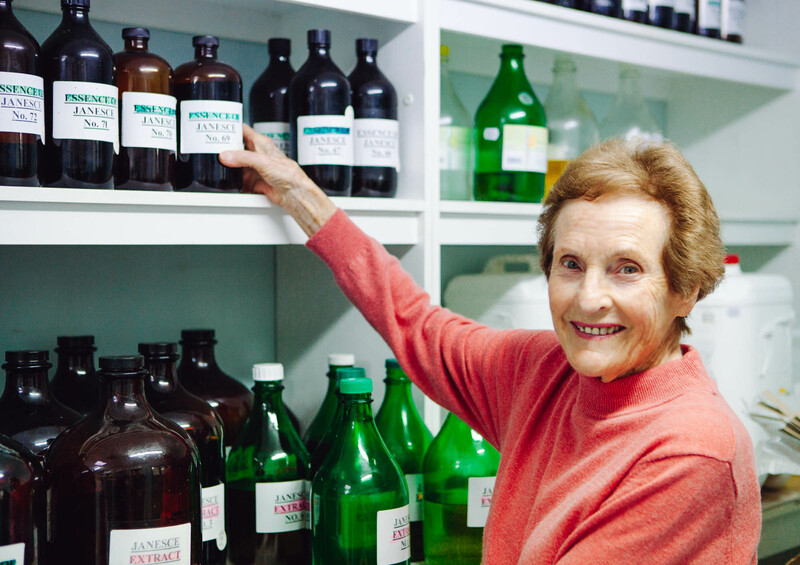 Now in her late 80s, Jan is throwing the budget out the window and adding in all the plant tinctures her heart desires at VERY high concentrations. When Jan uses caps, she means serious business. The botanical theme of the Re-Energising range story is the energising blend of gingko, ginseng and myrrh. This trio offers powerful plant actives to stimulate and enliven maturing skin, slow the visible signs of ageing and support the continuation of a youthful Janesce glow throughout hormonal changes. Gingko is rich in antioxidants, which neutralise free radicals that cause wrinkles and other signs of ageing. It also has strong anti-inflammatory properties and helps protect the skin against UV damage. Ginseng contains numerous phytonutrients that increase skin cell oxygenation and boost circulation for brighter, more evenly toned skin. It also has anti-oxidant and anti-inflammatory properties and forms a protective film over the skin. Myrrh encourages gentle microcirculation to stimulate mature skin. It is a natural antiseptic, preventing infections and promoting healing. Anti-inflammatory and powerfully anti-oxidant, it helps to combat oxidative damage. In addition the range features liquid oxygen, liquid silk, lavender, rose, sage, chamomile, and viola tricolor – a beautifully feminine, powerful alchemy of energising botanicals. Very potent range for women 45+ to re-energise and renew maturing skin. Enlivens mature skin through highly active botanical stimulation. Contains double the plant actives of the Janesce professional ranges. Only suitable for existing Janesce clients, too stimulating for beginners. Five products supply beautiful layers of botanical energy. Hero botanical ingredients are gingko, ginseng and myrrh. Anti-inflammatory and anti-ageing with potent anti-oxidants. Stimulates blood flow and cell renewal. Naturally offsets hormonal deprivation and promotes youthful, supple skin. Who Is this Range Suitable For? The Re-Energising Range brings ageing skin back to life. It supports blood flow and cell renewal and helps to offset hormonal deprivations and support a youthful, Janesce glow as we age. Because this range is so powerful and active, it would be prudent to prescribe these products only to clients with mature skin who have been using Janesce for some time. Only a dedicated Janesce client will have skin strong enough to benefit from these high levels of actives without overstimulating the skin. The Janesce Re-Energising Complex is the hero of the range and the other four products provide complementary botanical layering to energise and stimulate mature skin. The Janesce Re-Energising Complex and Janesce Re-energising Skin Dew are the first two layers in this skincare regime and we recommend you prescribe the two products together. Don’t forget that you also have the Janesce Re-Energising Tincture available in your clinic products. 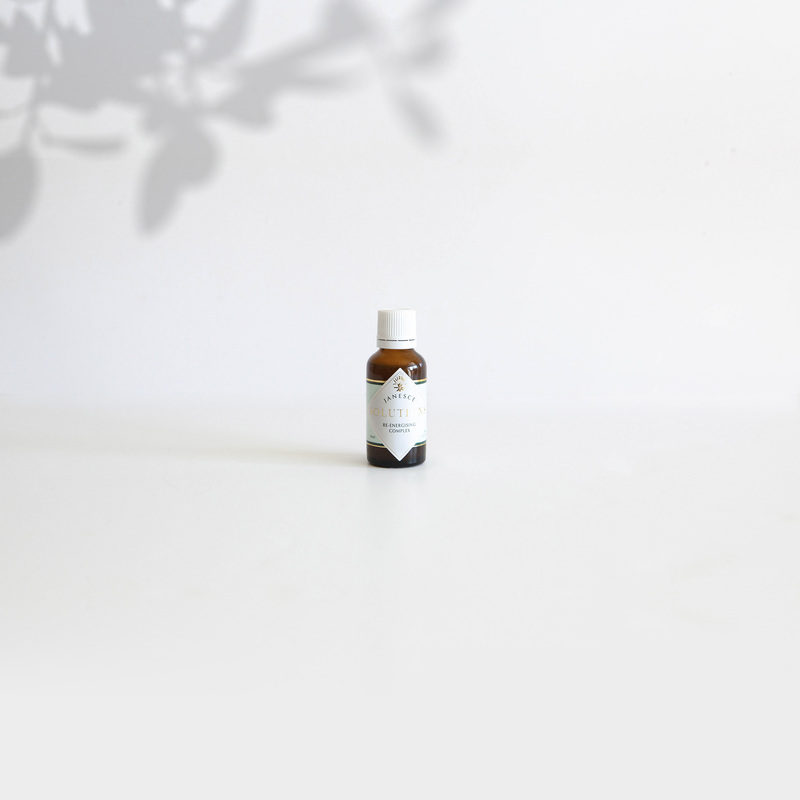 This tincture can be added to your Facial Base Mask to create a Re-Energising facial treatment. You may like to do this to celebrate the launch of the range and start conversations about the new products. Janesce Re-Energising Dew is an enlivening, botanical mist containing potent plant actives to intensively hydrate, energise and revitalise mature skin. Anti-oxidants protect skin from the ageing effects of free-radicals and silk proteins gives skin a dewy, velvety texture. The Janesce Re-Energising Dew is part of the Janesce Solutions Re-Energising Range for women 45+. This powerful range enlivens mature skin through highly active botanical stimulation. It contains double the level of plant extracts found within the rest of the Janesce Professionals range. 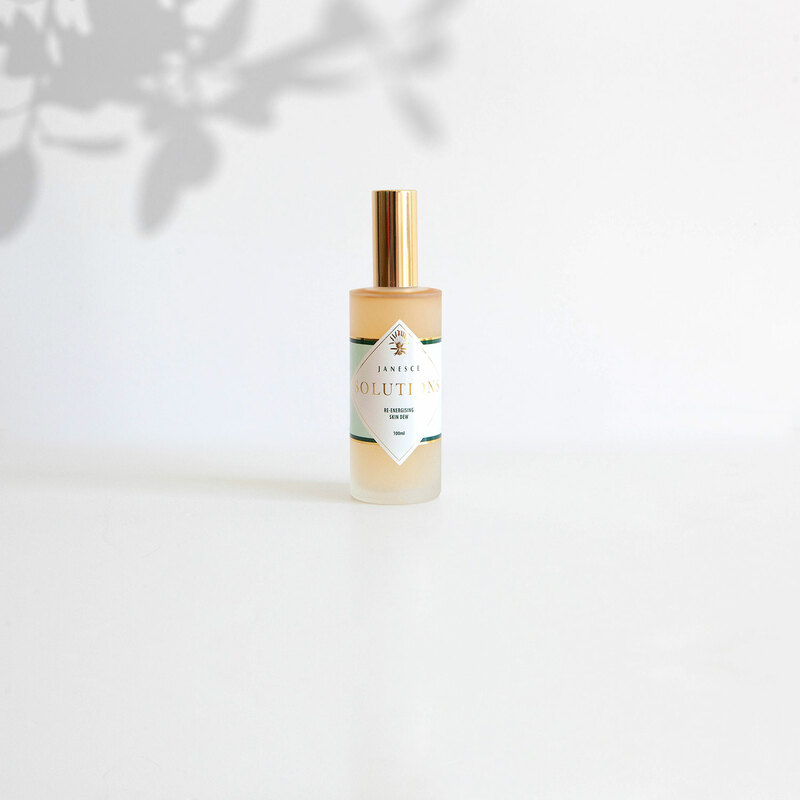 This energising and hydrating botanical mist is designed for woman aged 45 and over. Because the Janesce Re-Energising Range is so potent, it is wise to prescribe these products to clients who have been using Janesce for some time. Only dedicated Janesce users will have skin strong enough to benefit from the high levels of plant actives without overstimulating the skin. We recommend that you prescribe the Janesce Re-Energising Skin Dew and the Janesce Re-energising Complex together. 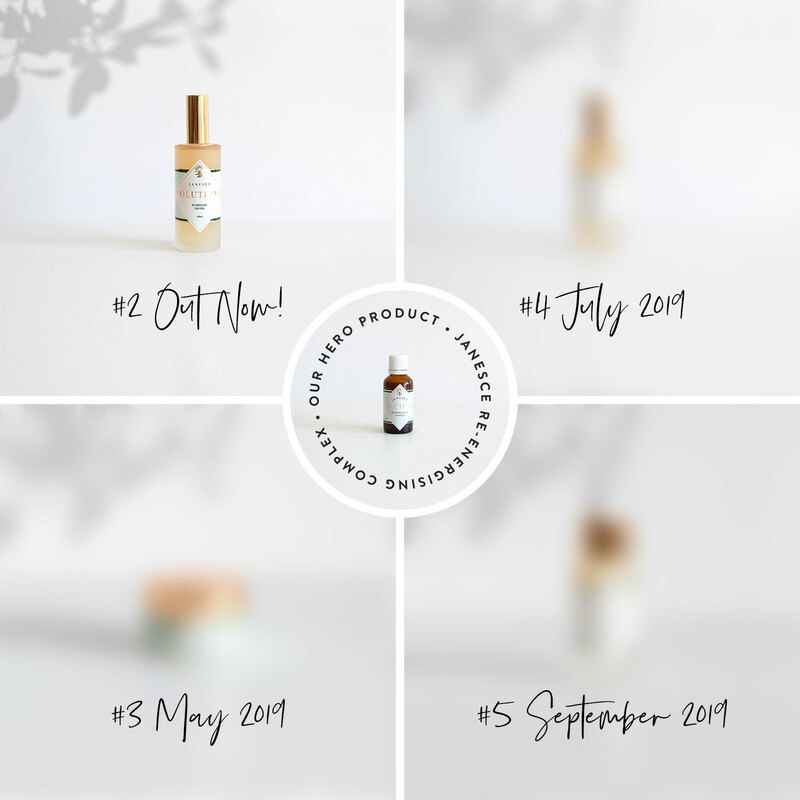 The remaining three products from the range will be released throughout 2019. As they come available, you can add these products into your clients’ skincare regime to build beautiful layers of energising botanicals. Spray 1-2 sprays of the dew directly onto the skin. Spray two pumps of the dew into mist into the palm of one hand, press hands together and gently press the mist into face. Where does this product fit in the Janesce skin soaking routine? The Janesce Re-Energising Dew contains botanical extracts to treat the skin and plant proteins that seal in moisture. For this reason, apply after skin-soaking. It can be applied either before or after the Re-Energising Complex, depending on how strong the skin in. If the skin barrier is strong, it will benefit from having the Janesce Re-Energising Complex applied first, as it contains the highest amount of plant actives in the range. If the skin barrier is sensitive, apply the Janesce Re-Energising Dew first to buffer the skin and protect it from being overstimulated from the high levels of plant actives in the Re-energising Complex. 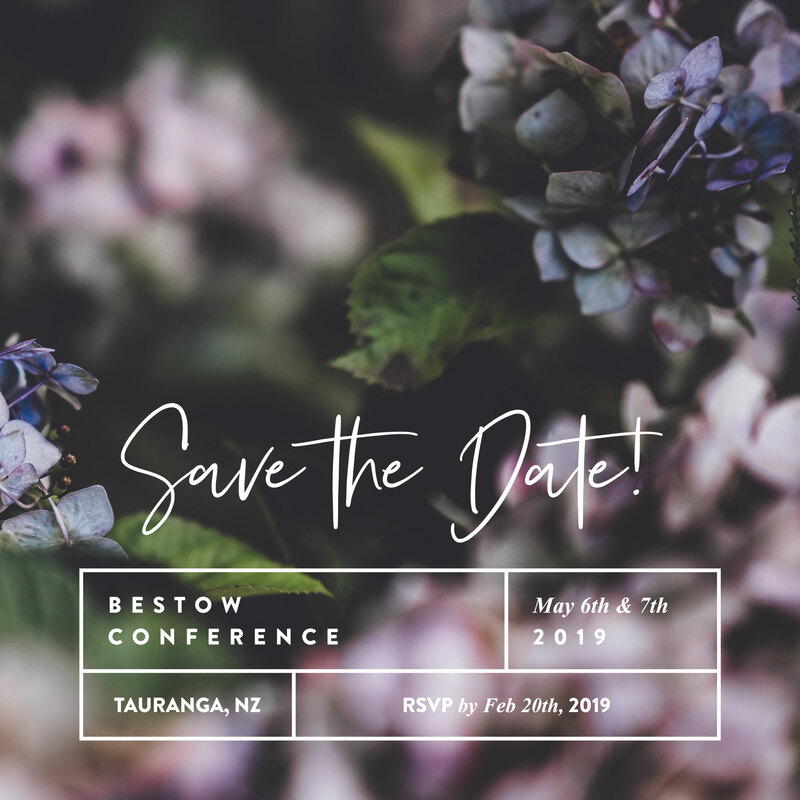 You are warmly invited to attend a free two-day training event – the Bestow Conference on May 6th and 7th, 2019. Save the dates in your diary! Our conference theme is Leading the Way. 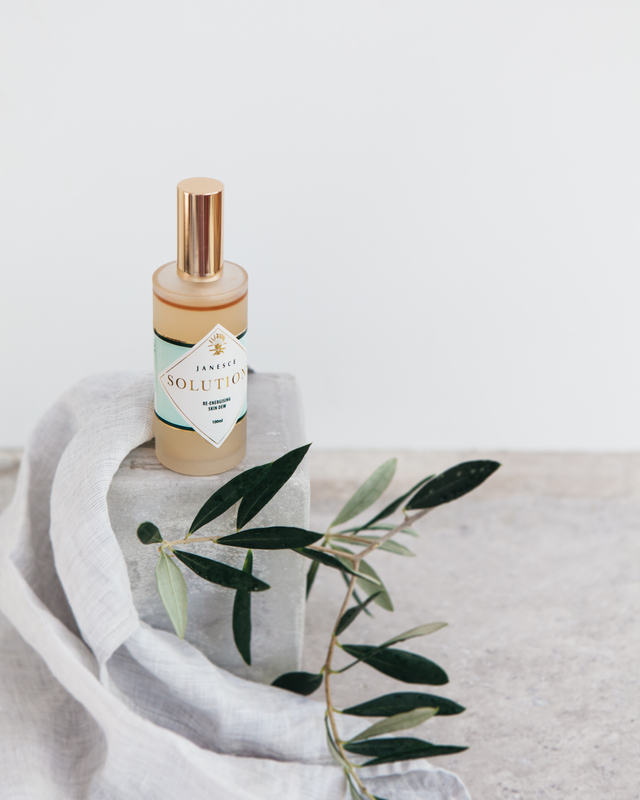 The wellbeing trend in the beauty industry is steadily growing, scientific research continues to validate holistic wisdom and more and more therapists are waking up to the Slow Beauty way of working. As a community, we are fortunate to have such deep roots in the world of wellbeing, thanks to my mentor, Janesce founder, Janice Sarre-Smith. Her pioneering wisdom and my decades of experience are infused into Bestow products and our philosophy of nourishing skin from within. As holistic skincare therapists, we are well positioned to continue to lead the wellbeing trend in the beauty industry, but we need to keep growing and learning. Our team will share with you time-honoured wisdom and cutting-edge research to enhance your ability to provide effective holistic skincare direction and guidance to your clients. 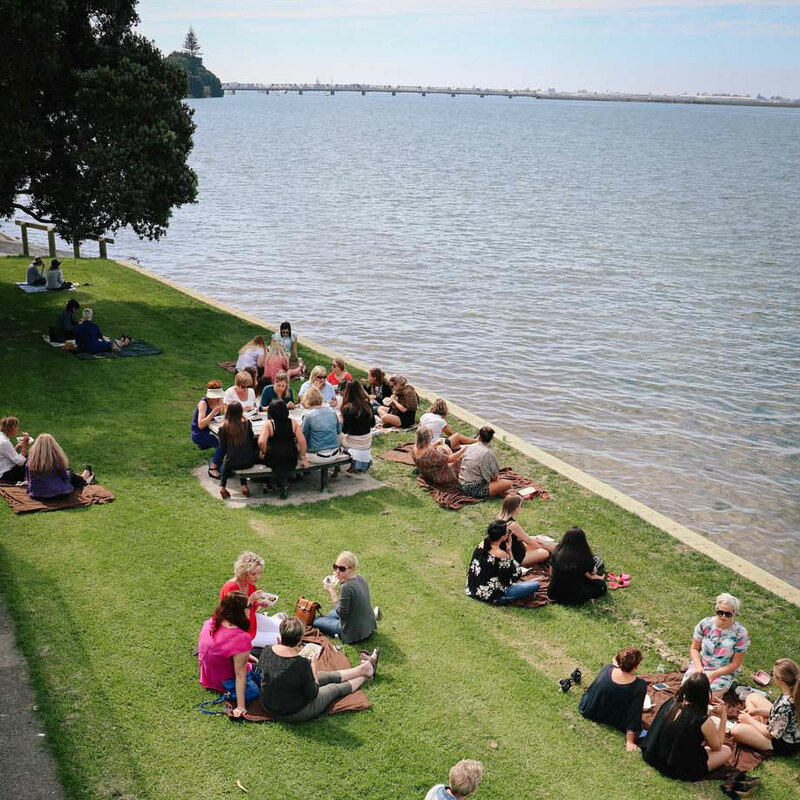 We will gather at ‘Waters Edge’ at The Tauranga Rowing Club, Memorial Park, Devonport Road, Tauranga. Please email Jenny Barrow by February 20th, 2019 and let her know if you will attend and an indication of how many team-members you intend to bring. The conference is free for Bestow therapists. We will provide a nutritious Bestow lunch and morning and afternoon tea each day. Clinics and therapists are responsible for covering their own travel and accommodation costs. 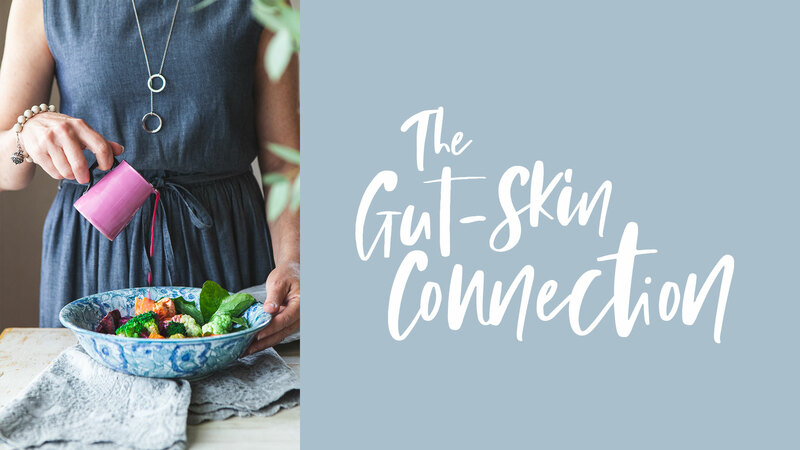 Gut-health is the phrase on everyone’s lips this year and we have developed an amazing session for the Bestow Conference called the The Gut-Skin Connection. You’ll come away with new insights AND practical tools and resources you can use to confidently introduce gut-health strategies into your work with your clients. We can’t wait! – An introduction to the wild and wonderful world of the gut microbiome. – An understanding of how gut health directly affects skin health. – Simple red flags to watch for to identify an unhappy gut. – My personal story of healing chronic pain by healing my gut. – Insight about the importance of gut health in healing skin disorders. – Fascinating information about the gut-mind connection. – An introduction to three tools we created to help your clients to put gut-health wisdom into practical action. Leading the way in gut-health. 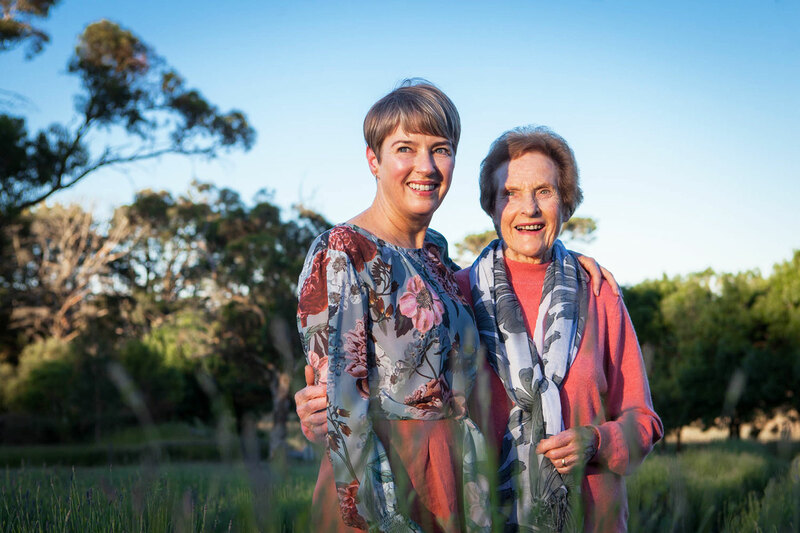 Janine and Jenny share their personal gut-healing stories and the tools and resources we have developed to support a healthy gut skin connection. New release: The Gut-Skin Connection book. Leading the way in healing sensitised skin. Janine will introduce you to the foundational concepts of a holistic approach to topical skincare. You’ll learn how to respect and repair skin barrier function and heal the skin with soothing plant actives. Leading the way in skin nutrition. 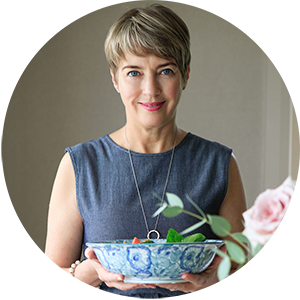 Janine will share her personal experiments with Recommended Daily Intake (RDI) of nutrients, the surprising results and what they mean for us and our clients. Leading the way in skin coaching. 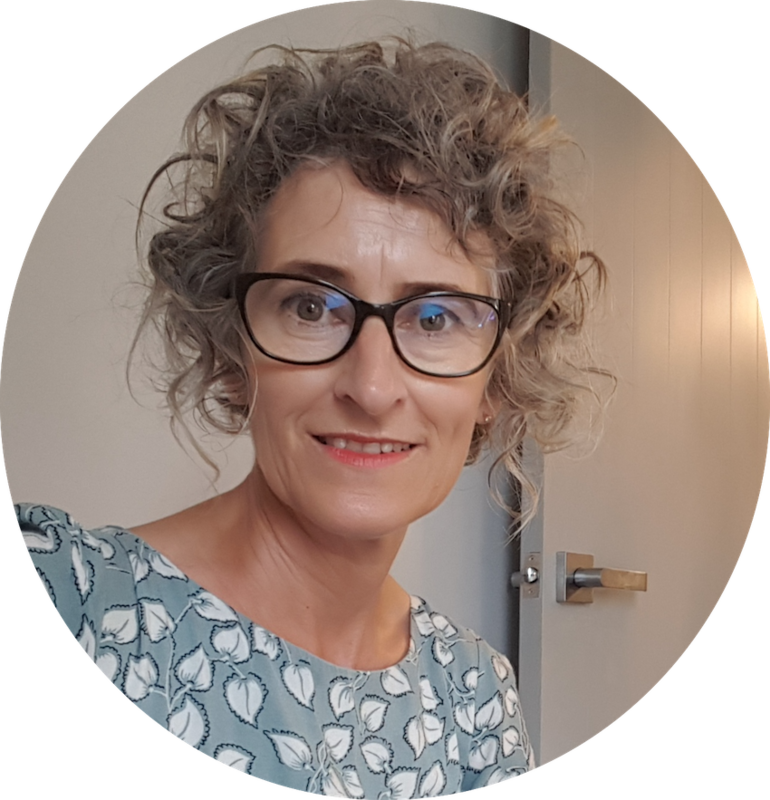 Jenny Barrow will share her journey of becoming a skin health coach and strategies to help you to lead clients along the pathway of lifestyle and diet changes for the sake of their skin. We are so looking forward to gathering as a community to be inspired and to learn and grow so we can continue to work at the leading edge of holistic skincare and skin nutrition. 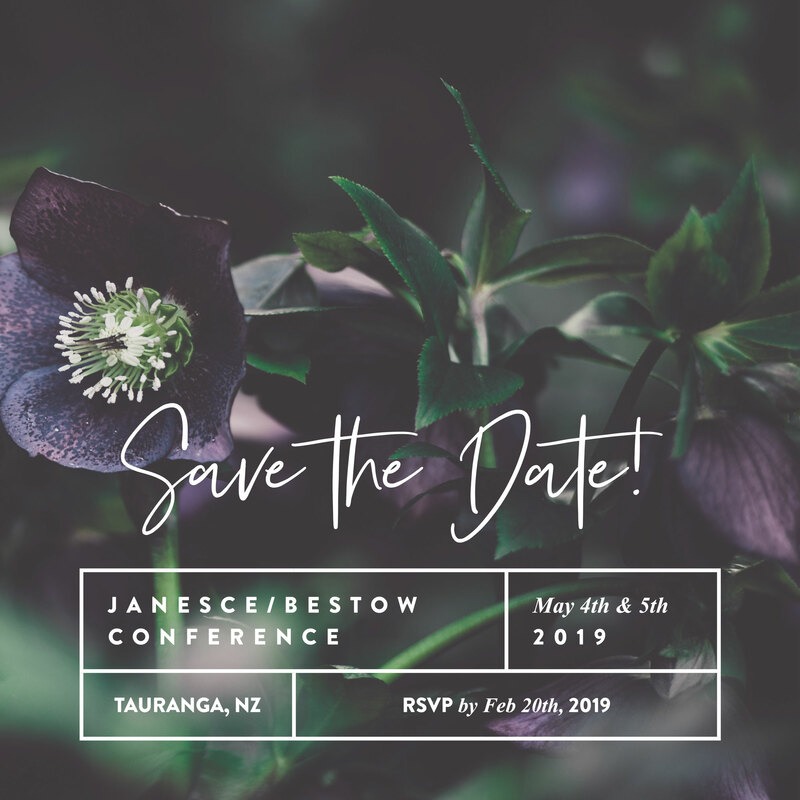 We are so looking forward to our bi-annual Janesce and Bestow conference on May 4th and 5th, 2019. Save the dates in your diary! Our conference theme is Leading the Way. > The wellbeing trend in the beauty industry has gained momentum. > Scientific research continues to validate holistic wisdom. 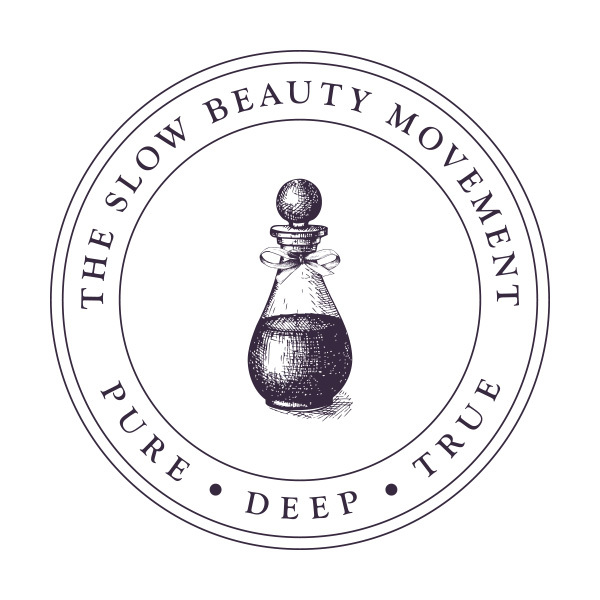 > More therapists are waking up to the Slow Beauty way of working with skin. 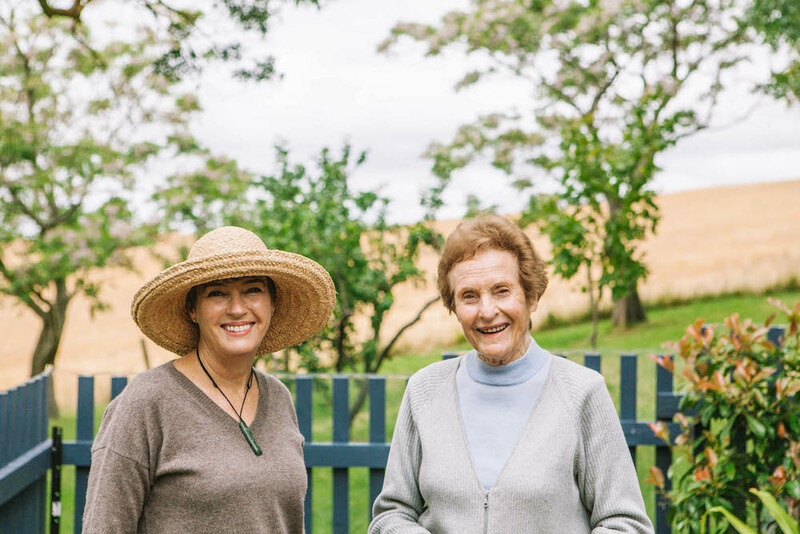 As a community, we are fortunate to have such deep roots in the world of wellbeing, thanks to my mentor, Janesce founder, Janice Sarre-Smith. Her pioneering wisdom and our combined decades of experience are infused into the products and philosophy of both Janesce and Bestow. We will gather at the same lovely venue as our 2017 conference. ‘Waters Edge’ at The Tauranga Rowing Club, Memorial Park, Devonport Road, Tauranga. The conference is free for Janesce/Bestow therapists. We will provide a delicious complimentary Bestow lunch and morning and afternoon tea each day. Clinics and therapists are responsible for covering their own travel and accommodation costs. 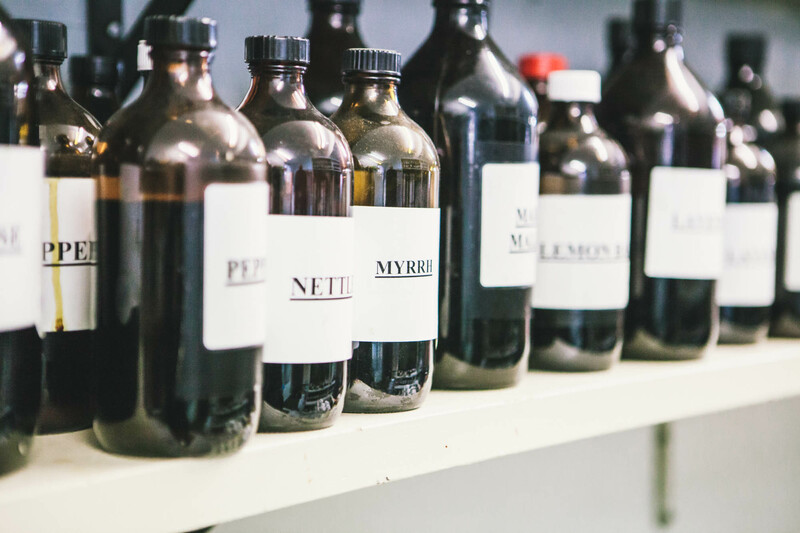 Leading the way in botanical skincare. 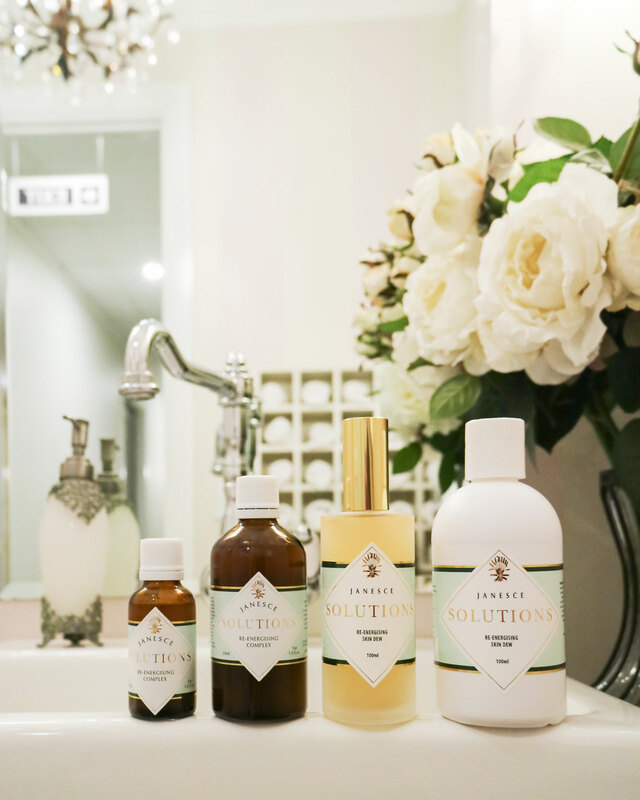 Janine will share an update from Claret Ash Farm and take a closer look at the science and spiritual wisdom in Jan’s innovative extraction technique and how it captures high potency plant actives for skin. Leading the way in soul-care. 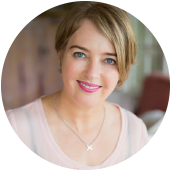 Guest speaker, Linda Parnell, will share her insights on the healing power of beauty for physical, mental and spiritual wellbeing. Leading the way in anti-aging plant therapy. Jan Smith has formulated an extremely powerful skincare range for mature skin called the Re-Energising Range, featuring double the level of plant actives in the Solutions range. 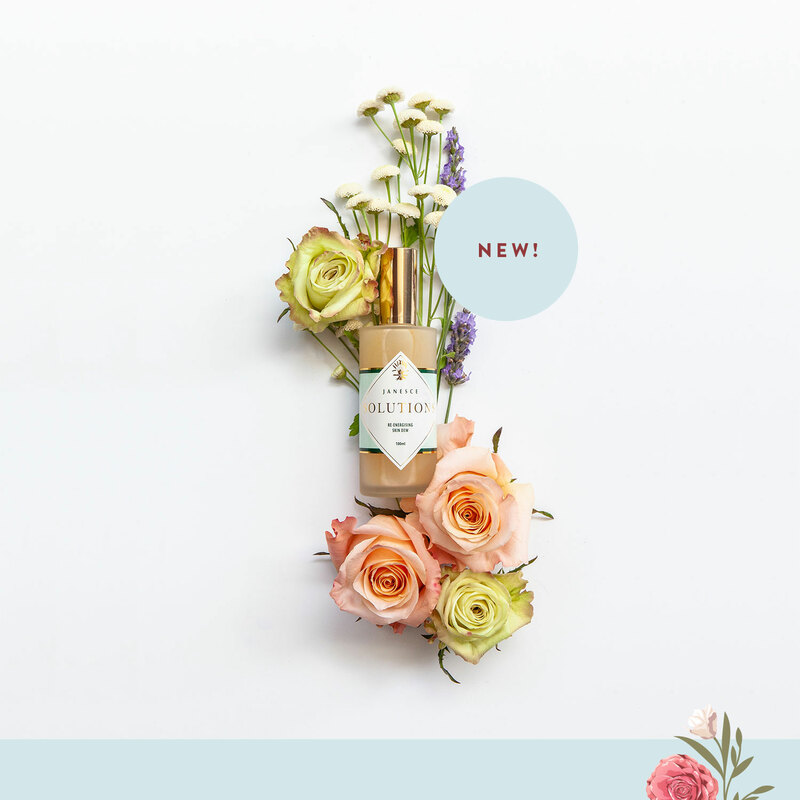 Janine will introduce the range and how to prescribe it and guest speaker, Margie Thomas, will introduce us to the botanical heroes featured in the products. Leading the way in skin coaching. 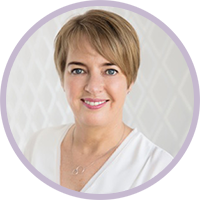 Julia O’Gorman and Jenny Barrow will share their strategies in how to effectively lead clients along the pathway of lifestyle and diet changes for the sake of their skin. 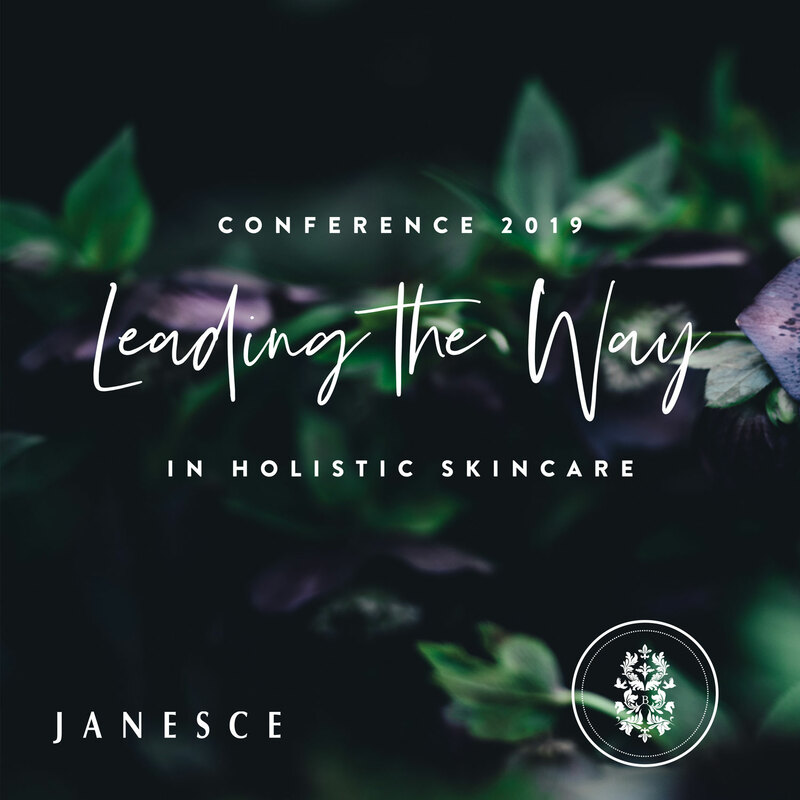 We are so looking forward to gathering as a community to be inspired and to learn and grow so we can continue to work at the leading edge of holistic skincare.